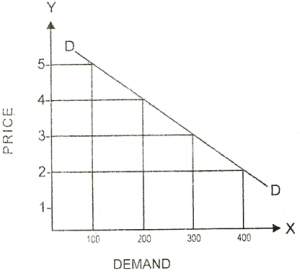 The law of demand – is an economic law, according to which the rise in prices leads to a decrease in the demand for goods under equal conditions. The volume of demand for goods and the level of prices for them are in inverse proportion. 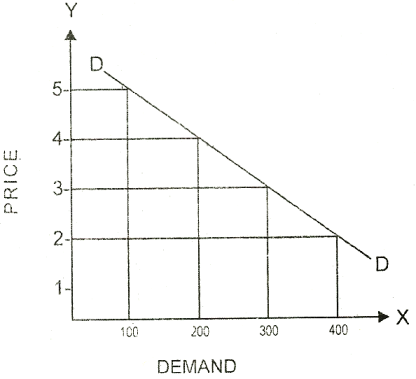 Under the equal conditions, the higher is the price, the lower is the demand and vice versa. The high price discourages consumers from buying. The low price stimulates their desire to make a purchase. The consumer behavior obeys the principle of “diminishing marginal utility”. According to it, every next good you purchase brings less satisfaction. Consumers are ready to purchase additional items if the price will be lower. “The effect of income” – with rising prices and constant income of customers, inaccessibility of goods for buyers increases – customers purchase goods less often. “The effect of substitution” – with rising prices and with constant income of customers, people make their choice in favor of substitutes. For example, as a price for coffee rises, people mostly buy tea or cocoa, and with an increase in honey prices, consumers switch to sugar or jam.